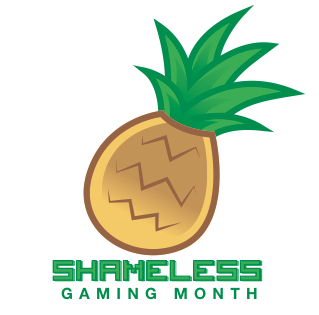 So, shameless gaming month for 2012 has well and truly gone. The question for me, though, is how did I go in the end? Time for more updates as we get closer to the end of the month! I managed to finish Phantasy Star 2 and at the same time exceeded my original grind on the game that saw me hitting level 35 or 36 with Rolf (to get Megid!) and topping out there. The promised hyperbolic post is coming with lots of happy snaps, but I’ll be getting onto writing it up in August. In terms of the Sega Mega Drive Ultimate Collection, I got my platinum for it last night, so I managed to 100% it which is what I was aiming for! There were some tricky ones in there (Columns and Dr Robotnik’s Mean Bean Machine in particular caused some strife, the former of which is surprising because I used to be really good at it when I was a kid), but I managed to get it done. It’s such a shame that the emulation on the collection was so rough, but then again the price of entry was super-cheap, so it’s probably not worth complaining too much about now that Sega has started using M2 as their emulation developer. … which leaves Monster World 4 – so I’m going to finish up this post so I can go and sink some time into it and see how far I can get before the month ends in a few days! So, time for another update! I haven’t spent much time hammering away at Monster World 4 or the Sega Mega Drive Ultimate Collection – I have been sinking all my gaming time into Phantasy Star 2 though, and it is proving to be an unbelievable experience going back and playing this amazing, seminal JRPG from my childhood. For those who have played through the game, I’ve just finished the dungeons on Dezo and am about to pick up the Neisword to grind my party levels up a bit on Noah, then it’ll be time to take a crack at the double-whammy of end game bosses. I reckon I’ll be able to tidy it up this week, which then leaves a couple of weeks to get stuck into the other titles I’ve picked out for this month. So, Atlus announced that Persona 4: Arena, a spectacular-looking 2D fighter starring the cast from Shin Megami Tensei Persona 4, will be region-locked. This… defies logic. Especially given the PS3 has consistently featured its region-free status as a selling point for the console, and is an enormous benefit of owning the console. To their credit, Atlus sent out a press release stating why it has happened. While I appreciate the honesty in such a response, all it’s done if confirm that the region-locking has been done for the purpose of supporting a price-fixing policy. Last I checked, the PS3’s region-free nature hasn’t affected sales. Last I checked, I had more PS3 titles than any of my other current generation consoles. This is because the title wasn’t slated to be released in PAL regions (Catherine), the title was superior in another region (Final Fantasy 13, Asian version – Japanese voices, English text), or the price was half the cost of the import locally vs overseas (VF5 set me back AU$100 locally when I bought it in 2007). So, to enforce a protectionist market, the game is being locked. This not only affects US gamers wanting to pay the premium for the Japanese copy, but also affects all PAL gamers who want to grab the game because they don’t want to wait an unnecessary amount of time to see if it’ll get picked up locally (if at all) or who don’t want to pay an extortionate price for the game (RRP on most AU games is AU$99, nearly double the game’s US RRP). 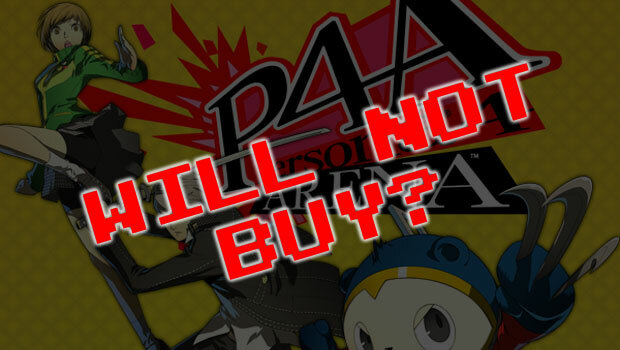 It’s a shame because niche publishers like Atlus and NIS rely on their passionate fanbase to fuel the sales due to the nature of the titles they bring over, and this is a substantial misstep. Still, if you’re going to slap the market in the face, don’t be surprised if they get angry. I for one won’t be buying the game in the immediate future. Once I get over myself and step down from my soapbox, I might reconsider and add it to the collection. Will I really matter in the grand scheme of things? Probably not. But it’s a principle I feel very strongly about (and have discussed previously), and my principles tend to affect my spending habits. To bring across a currency of thought, I haven’t bought a Capcom game in a while because I’m offended by their awful DLC practices (such as SFxT featuring another ~15 characters on the disc, but locking all of them up under paid-for DLC). Again, I’m not sure if I’m making much of a dent (especially given how many Capcom titles I’ve bought this generation before the SFxT fiasco), but it’s about as much as I can do to emphasise that I love games, but abhor business practices designed to make cheap grabs for my cash. The collective voice of protest only seems to be listened to when it affects the bottom-line, so if that’s the only way I can express myself, then so be it. While the last boss was cheap and mean, it was a delightful end to an otherwise excellent retro-inspired platformer. The razor-sharp 1080p goodness, unbelievable chiptune-inspired soundtrack and variety of homages to Capcom, Konami and Treasure platformers (as well as a bit of Yoshi’s Island in there too!) made it worth the collective headbutt on the final encounter. I’ve talked about the game previously, but dug up a couple of interesting bits on the game others might find interesting – there’s an amazing blow-by-blow account of the game’s development at one bit beyond, and an excellent interview and review at PlayStationLifeStyle.net. Oh, and there’s also the official website too.